This 3-part series of charts looks at the 1 year gold price, the 2 year gold price and the AMEX Gold Bug Index ($HUI). The 1 year chart shows initial support at ~$433, the level of a double top resistance earlier in the year. 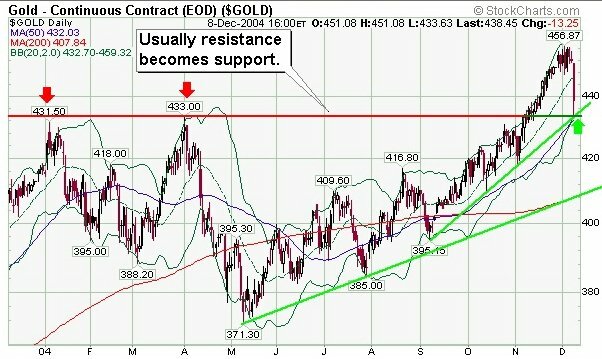 Long term trendline support is at $408 so gold could drop much further and still be in an uptrend.